Materials researchers are constantly looking for ways to make a substance strong yet lightweight. 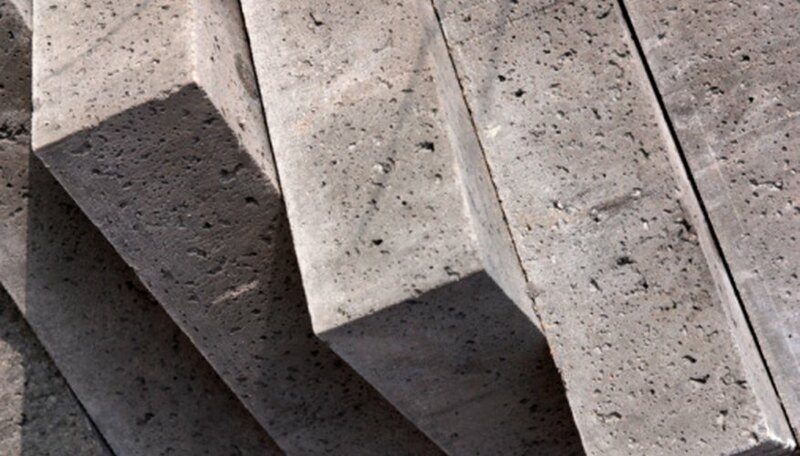 Concrete investigators discovered mixing shredded paper fiber with binders makes a strong yet lightweight concrete product. You can become an investigator by making and experimenting with different blends of binders and shredded paper. Shredded paper is available at any home improvement store as shredded paper blown-in insulation. You can make your own by shedding old newspapers, available at any recycling facility. Papercrete is made by mixing shredded paper with Portland cement and sand, as reported by the Living In Paper organization. The exact mixing ratios vary, since each mix has its pluses and minuses. The Living In Paper organization states for a basic ratio, start with a mix of about 50 percent cement, and 50 percent paper. Fidobe is a mixture of paper fiber and clay, or adobe. You start with clay, such as red clay, and add in paper little by little. This is a suitable building material, but drawbacks are pointed out by the Living In Paper group. First, termites may be a problem. Second, if the clay content is too much, cracking may occur during the drying process. Padobe is a mixture of Portland cement, paper and adobe. Padobe has advantages over simple fidobe. The problems of cracking during drying is reduced. Second, it makes for a stronger mix. Third, the danger of flammability is reduced, since the paper ratio is lower and the binder ratio is higher. Custom mixes use paper, Portland cement, and a variety of other materials. Builder Clyde T. Curry adds in recycled ground up Styrofoam into the mix, to reduce weight. Other fillers recommended by the Living In Paper group are fly ash or ground up rice hulls. If you have access to a large quantity of filler, experiment with different mixes and ratios. Make small test batches, and test the batches for strength and durability after drying. How Often Should You Change Bed Pillows?